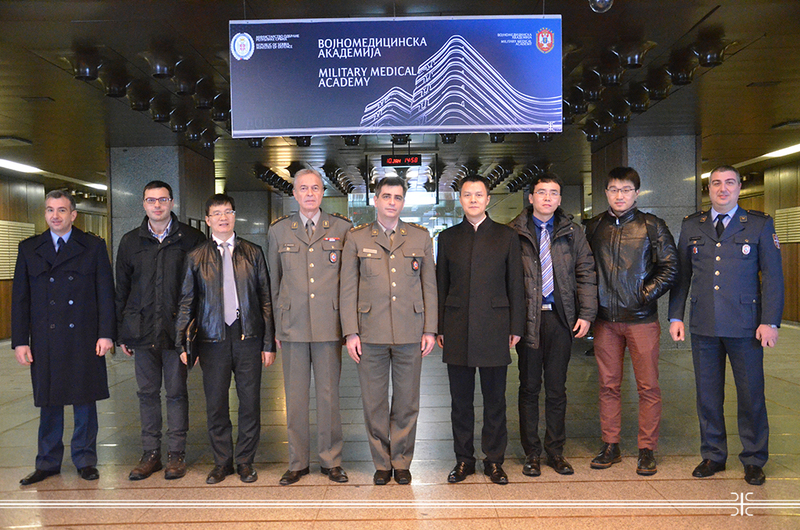 Delegation of the Ministry of Commerce of the People's Republic of China (PRC) and the China Economic and Trade Department of the Embassy of the People's Republic of China, led by Mr. Jia Jinlong visited the Military Medical Academy. Chinese delegation, whose visit was organized within the visit of Serbian institutions that received the donation of equipment from People's Republic of China in the previous period, were welcomed by Assistant Head Col. Prof. Dr. Radovan Cekanac and Head of the Sector for Logistics Col. Dr. Rade Guberinic with associates. The hosts extended their gratitude for the donation of medical equipment, as well as for the long-time successful cooperation with the Military Medical Academy. After the meeting, the Chinese delegation had the opportunity to visit the organizational units of MMA which received the donation - two ultrasound medical devices.